Simon Larsson, an industrial design intern at ÅF, recently received an award for his Autonomus Baggage Train (ABT), a design he created for his thesis project before he came to ÅF. Simon graduated from Umeå Institute of Design this year. The 10 week long thesis project received much attention both inside and outside of Sweden. The project recently won the highest award in the international design competition Spark Awards and was presented to the leading groups on how to improve baggage handling at Swedish airports. Swedavia is still interested in the concept so there is a chance that the ABT could become reality in the future. Simon, tell us about the ABT. I started the project by doing research at two different airports and with two different companies, Swedavia and Aviator, to get an understanding of how baggage handling is done today. The airport staff working with baggage handling have a tough job, with each person lifting up to 15 tons per day. Every bag gets lifted manually six times on its way from check-in to the baggage drop band. The work is very repetitive and often leads to back and shoulder problems, and other kinds of physical problems. 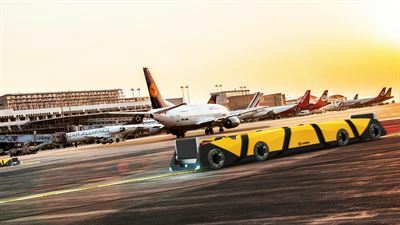 The ABT is designed to transport baggage between the airport terminals and the airplanes and has the ability to load and unload the baggage automatically because of its built-in baggage bands. 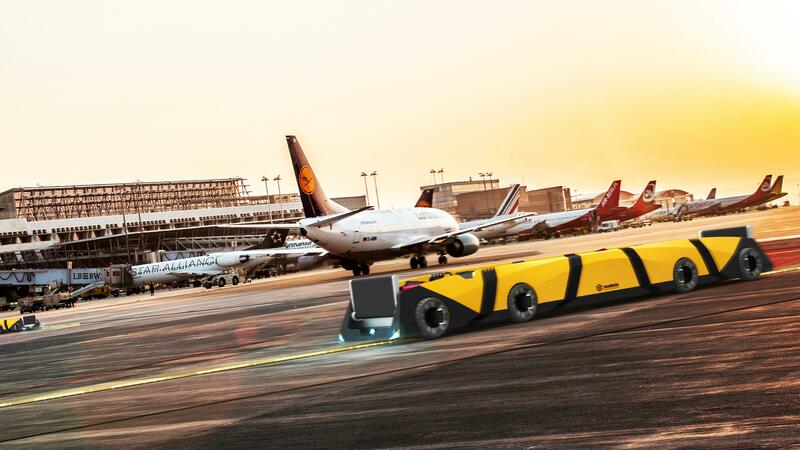 It therefore reduces the manual lifts from six to two, shortens the waiting time for the passengers, reduces the wear on both baggage and the airport’s baggage bands, and contributes to a safer working environment. How does it feel to win a Spark Award? It feels great to win an international design competition like the Spark Awards! It’s proof that I really have learned a lot during my three years at Umeå Institute of Design. Working with design can be tough sometimes because your confidence can go up and down almost from one day to another and then it’s nice to have an award to lean on that proves I am good at what I do. But while there can be pressure sometimes when working with developing products, it’s also really fun and something that I’m very passionate about. Now you’re an intern at ÅF, but what do you value in a future employer? I value companies where I get to work with a lot of different projects, in different areas, so that I am constantly learning and challenging myself to think in new ways. It’s also very important to me to feel that my employer cares a lot about the employees’ well-being and that there is an understanding that you cannot produce like a person with 10 years of working experience when you are a recent graduate. I think ÅF has made a good impression on me in both these areas.